A man without memory of his past launches out on a quest of self-discovery. Meanwhile, a great evil is subjugating the known world. Only, Michael and this far-reaching adversary seem to be connected in a manner he cannot fully grasp. When all that he loves is taken from him, he is confronted with the choice that will determine his future, and also the higher struggle between the light and darkness. 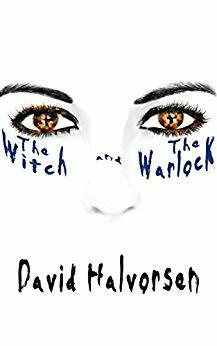 A mystical young lady, branded as a witch and confidant of the notorious Enchantress, is an outcast from the nearby village. She is an untouchable, scorned and shamed. The darkness gathers overhead, pulling on her inner anguish, summoning her to join forces. Yet, she crosses paths with a wandering man that has lost his way, and sees, for the first time, that not all men inflict unnecessary pain. Like herself, he too is tormented, drawn to the light one moment but then to the darkness the very next. When the ashes settle over the ground soaked by blood, who do you suppose will be left standing in this unexpected tale of loss and love? Free on Kindle.